Jiahui International Hospital is the first general hospital compliant with international standards. 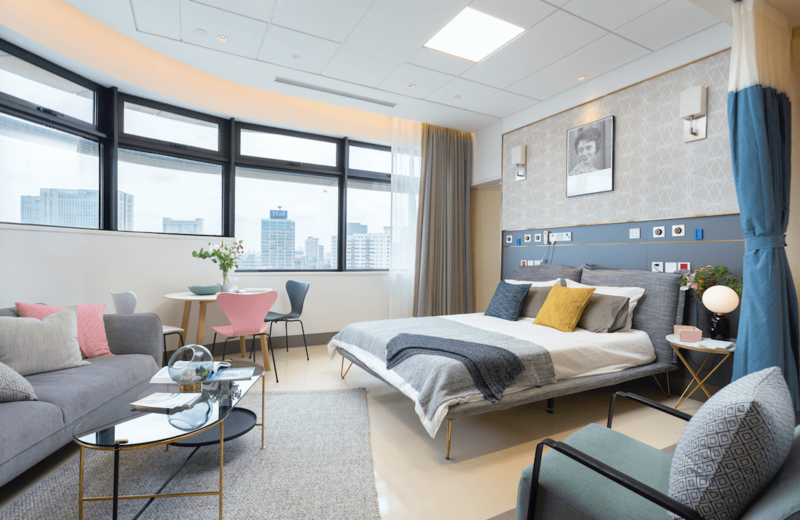 Situated in Shanghai’s downtown Xuhui District, the hospital launched its first phase in October 2017 with 246 of its total 500 beds. Jiahui International Hospital has three specialty centers: oncology, woman & pediatric health and sports medicine. 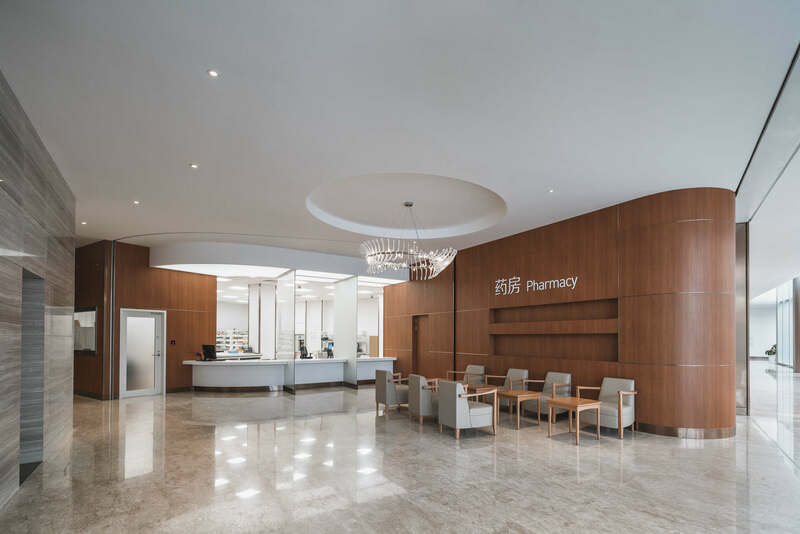 In order to achieve a truly international standard of healthcare service, Jiahui formed a collaboration with Massachusetts General Hospital in 2012. This collaboration includes the hospital’s overall planning, operations management, and clinical research, even extending to cover training for physicians and nurses, and oncology medicine and research. On April, 2017, Jiahui and Massachusetts General Hospital formally and publicly announced their strategic collaboration. Jiahui International Hospital has co-branding with Massachusetts General Hospital. 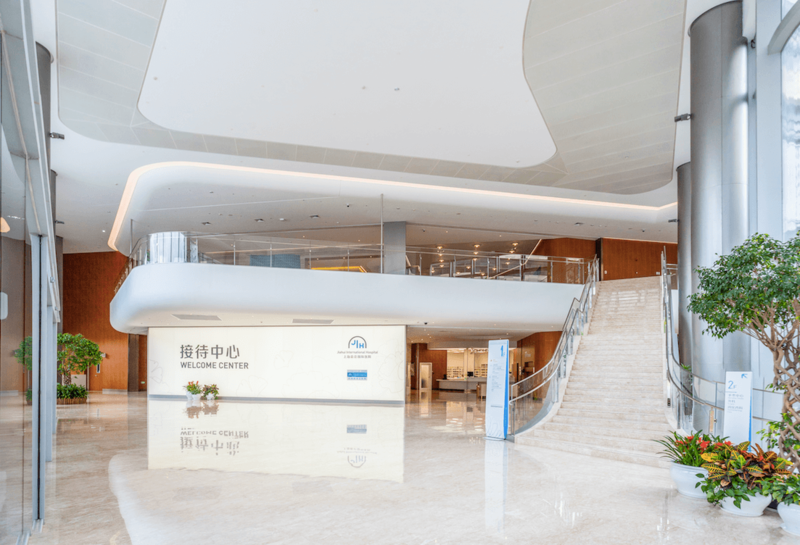 Jiahui International Hospital is recognized as the currently only LEED Healthcare Gold Green Building among medical institutions in mainland China. 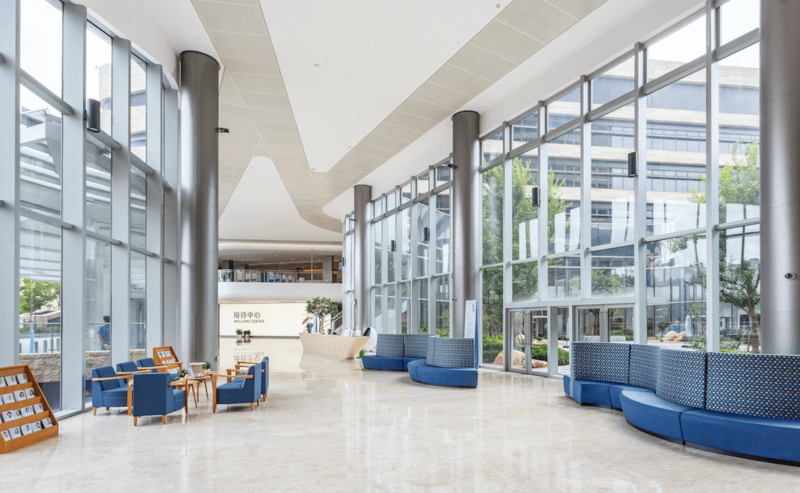 From overall planning to daily operations, Jiahui International Hospital is committed to fostering an environment with personalized care and highly efficient operations. The Hospital is also the exclusive designated international hospital service provider of China International Import Expo. Our integrated healthcare system consists of a 500-bed international hospital, clinics, and wellness center. We provide safe, reliable, and comprehensive healthcare services for all members of your family in different stages of life, including health management, outpatient care, surgery, inpatient services and international medicine. Through our unique strategic collaboration with Massachusetts General Hospital, Jiahui Health brings leading global healthcare resources and China’s most advanced medical expertise to your door. We are committed to providing you with Caring, Convenient healthcare services at the Best Value. Jiahui’s patients are cared for by our highly-qualified international team. More than 25% of Jiahui's physicians are from outside China, with three leadership physician serving joint appointments at both Jiahui Health and Massachusetts General Hospital. Our healthcare professionals will enable you to fully understand your health status and treatment choices, while engaging you and your family in selecting the best care through open communication. Our centers can be found throughout Shanghai, each in highly-accessible locations. In addition, Jiahui digital solutions allows you to make appointments and manage your family health profiles more easily. We also provide direct billing services through most major insurance companies to ensure that your visit is as convenient as possible. Since 2016, we have been working with a large portfolio of Fortune 500 corporations, international schools, consulates, chambers, and private banks to optimize their employee health benefit plans and upgrade health management programs for their clients. Jiahui also serves as an exclusive medical service provider to support a range of sports teams and events, providing medical coverage for professional athletes as well as sports lovers. Click here to get more infos! The Department of Anesthesiology of Shanghai Jiahui International Hospital is composed of medical staff from many countries such as the United States and China, and is committed to high-quality safe medical care. Patient-centered, evidence-based medical thinking with the goal of reducing complications and mortality, improving patient satisfaction, and improving cost performance, adopting international norms, fully implementing team medical care, and ensuring the safety of every patient in the hospital in all aspects. Life is escorted. Meanwhile, the daily work of anesthesia services covers the operating room, modern delivery room, gastrointestinal bronchial endoscopy room, interventional radiology department, pain clinic, intensive care unit, and palliative medical department. Our colleagues in the anesthesiology department focus on the patient experience, based in Shanghai, integrate the rich clinical experience and advanced medical concepts of the America, Europe, Asia and Australia, and use the world's mature anesthesia technology to provide warmth, quality, precision, repeatability and efficiency in anesthesia service. Whether it is general anesthesia, monitoring anesthesia, regional anesthesia, spinal anesthesia, ultrasound-guided nerve block anesthesia, or painless delivery throughout the spinal canal, painless gastrointestinal endoscopy, painless hysteroscopy, painless flow, Painless fiber optic bronchoscopy, painless interventional radiation, we strive for excellence and outstanding performance. Besides, Dentistry Department carries out multi-disciplinary collaboration in the hospital, such as working with dermatologists to offer envisaging orthodontics and solutions to skin problems for beauty seekers; working with E.N.T. specialists to help adolescents with problems such as mouth breathing, adenoidal hypertrophy and allergic rhinitis; working with MSK to provide sports lovers a comprehensive range of preventive strategies on sports injury. > Orthodontics: buckteeth, overshot/undershot bites, misaligned/crowded teeth, drooping of corners of mouth, uncoordinated smile lines, gummy smiles, loose teeth, etc. The dermatologists of Jiahui Health provide you with a comprehensive range of services for skin care, which cover acne, allergic dermatitis, skin allergies, eczema, herpes, hair loss, psoriasis, skin hyperplasia, scars, skin cancer, venereal disease, skin neoplasm, skin aging, and other skin diseases, at the same time, our specialists also provide a variety of services for skin health and anti-aging needs to make you more rejuvenated. > Beginning at age 40 years. With a number of experienced otolaryngologists, advanced examination and surgery equipment, the Department of E.N.T of Jiahui Health provides a whole package of diagnosis and treatment services for children and adults with E.N.T. related diseases. In addition to specialty of otolaryngology related head and neck surgery, it has also established the subspecialties such as sleep medicine, audiology, and voice medicine, covering the diagnosis and treatment services for adults with OSA (Obstructive Sleep Apnea Syndrome, normally known as snoring disease), and for children with OSA (including adenoidal hypertrophy and tonsil hypertrophy), rhinitis, rhino-sinusitis, nasal polyps, voice disease, vertigo, otolithiasis, otitis media and hearing impairment and genetic diagnosis of congenital deafness and genetic counseling services. > Treat pediatric illnesses including fever, asthma exacerbations, croup, ear infections pharyngitis, abdominal pain. > Diagnose and treat surgical emergency such as appendicitis, cholecystitis, pancreatitis, intussusception, and diverticulitis. > Diagnose, stabilize, and treat all emergency situations and arrange specialist consultation as needed. When necessary, such as with heart attacks, acute strokes, and neurosurgical emergencies, transfer via our green channel to an appropriate hospital. > Evaluate and treat obstetrical emergencies. > Manage all kind of animal bites and exposures. The Emergency Department now has a fully licensed Rabies Prevention Clinic open 24 hours a day. We also can do pre-exposure rabies vaccination. Family Medicine of Jiahui Health provides person-centric, continuing, and holistic healthcare to individuals and families. Family medicine care is not limited by age, gender, body system, stage of disease procession or service site. Our Family Medicine not only promotes disease diagnosis and treatment, but also provides early diagnosis and intervention for patients or high risk groups; not only manages acute or chronic conditions, but only coordinates with diverse specialties and clinical teams to provide effective patient referral service. Family Medicine of Jiahui Health is dedicated to offering first step medical advice and comprehensive care for the safeguard of patients’ health. Family Medicine of Jiahui Health provides appropriate diagnosis and treatment for common acute and chronical diseases for all age groups. Jiahui's Gastroenterology team will provide diagnosis and treatment for medical problems of digestive tract and gland, including esophagus, stomach, small intestine, colorectum, pancreas and gallbladder. According to different clinical symptoms, patients are given timely and effective clinical examinations, diagnosis and treatments, and personalized medical services considering the needs of different patients. We can also provide digestive endoscopy diagnosis and treatment according to clinical needs, including screening and treatment of early digestive tract tumors, endoscopic treatment of digestive tract polyps, and digestive tract endoscopy in health examinations. We can provide comfortable and refined awake and painless endoscopic procedures, as well as a full range of health management for digestive diseases based on patient’s needs. > Common diseases of esophagus, stomach, small intestine, colorectal, pancreas and gallbladder. The Department of Hospital Medicine of Shanghai Jiahui International Hospital is mainly led by a number of international and domestic multidisciplinary physicians, namely Hospitalist, with a comprehensive nursing service system, including nurses and pharmacists. Nutritionists, rehabilitation therapists, administrative staff, etc., providing patients with comprehensive system of medical services. The Hospitalists in this department have been trained by the Hospitalist program in the United States, or the rigorous training of the Jiahui-Yenji Hospital Doctor Training Program, and are continuously sent to the Massachusetts General Hospital of Harvard University to study the latest medical technology and diagnosis methods in the world. Our Hospitalists provide comprehensive, uninterrupted medical services 24 hours a day, 7 days a week, including nights, weekends and holidays. Jiahui's Hospitalist insists on the guidance of evidence-based medical medicine, using comprehensive professional knowledge and years of clinical experience, combined with the latest multi-disciplinary guidelines, constantly connecting with the world, updating the most cutting-edge treatment methods to optimize hospital care services. As the same time, Hospitalist fully integrate the various specialist resources as well as coordinate multidisciplinary consultations in the hospital in order to carry out multidisciplinary diagnosis and treatment of various diseases, including preoperative evaluation of sical patients, prophylaxis and treatment of postoperative complications, etc. Hospitalist can establish good and effective communication with patients at home and abroad based on cultural background. Moreover, Hospitalist provides not only health assessment and medical support for inpatients but also patient-centered systemic, comprehensive, high quality, Efficiency, high security, compassionate inpatient care and personalized hospital care, with a focus on the diagnosis of increasingly complex diseases and comprehensive systemic care. Our ICU team at Jiahui International Hospital is comprised of well trained, experienced ICU physicians with the domestic and foreign background. They are able to handle all kinds of critical problems, and strive to control diseases at first time to meet the medical needs of you and your family. The situations that can be dealt with in the ICU include respiratory failure, heart failure, shock, sepsis, severe pancreatitis and other life-threatening conditions. Advanced equipment with international standard can meet the needs of bedside blood purification treatment, non-invasive and invasive ventilator assisted ventilation, bedside hemodynamic monitoring, respiratory function monitoring, bedside ultrasound examination, bedside imaging examination, nutritional support and other necessary examinations and treatments. 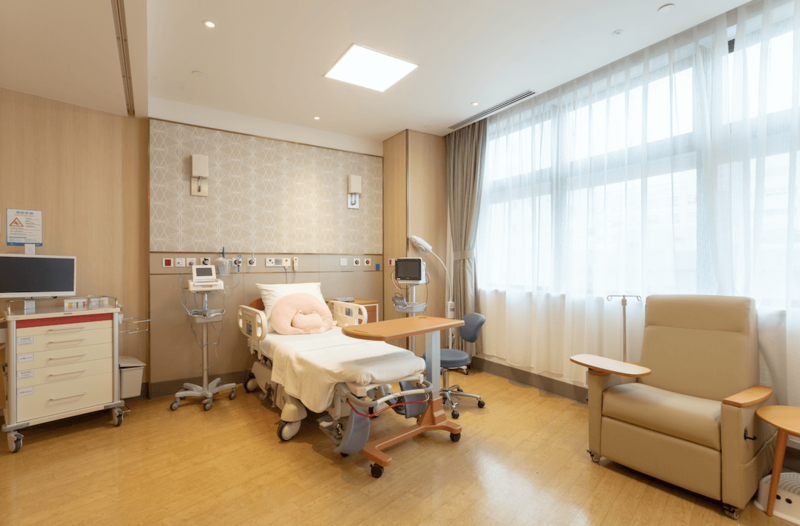 All beds are equipped with advanced ventilator and monitoring system. 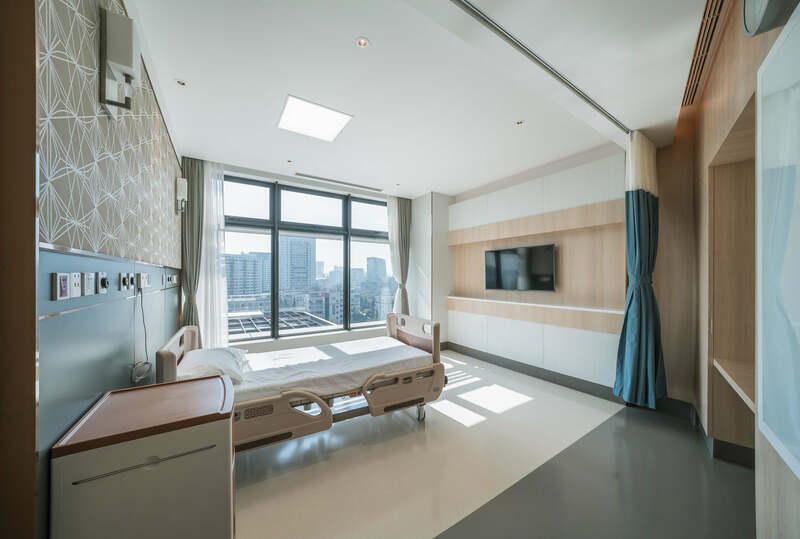 The care team in ICU, through its long-term strategic cooperation with the Massachusetts General Hospital, the teaching hospital affiliated to Harvard Medical School, strives to create the world's leading critical care system in Shanghai's medical system. Many of the side effects listed below are rare. Because these side effects can be serious it is important information for you to know. Side effects can occur at any time during treatment, but are more likely to occur later treatment after a few doses once the immune system is stimulated. Side effects can also occur weeks to months following treatment. The serious but rare side effects are followed by a list of more common side effects. Our doctors from the Department of Internal Medicine provide diagnosis and treatment for diseases of all major body systems, including the respiratory, digestive, nervous, endocrine, urinary, immune, and circulatory systems, etc. Our doctors perform timely check-up, diagnosis, effective treatment and personalized medical service based on patient symptoms and specific patient needs. We can also provide diagnosis and treatment for special groups, such as pregnant women and women who are breastfeeding. Diseases treated in Internal Medicine Department are numerous and complex. Our doctors carry out timely consultation, highly efficient and accurate diagnosis and comprehensive medical services for patients. > Our gastroenterologist provides diagnosis and treatment for disorders of digestive tract and digestive glands, including diseases of esophagus, stomach, small intestine, colorectum, pancreas, and gallbladder. Patients are given timely and effective clinical examination, diagnosis, and treatment according to their specific clinical symptoms, and the personalized medical services for different needs. We provide gastrointestinal endoscopy diagnosis and treatment based on different clinical requirements, including screening and treatment for gastrointestinal cancer in its early stages, endoscopic treatment for gastrointestinal polyps, and digestive tract examination using endoscopy. We provide painless and refined management of endoscopy procedures while the patient is awake according to patient individual needs and offer comprehensive health management for diseases of the digestive system. > Jiahui endocrinology team provides refined management of blood glucose for adult and gestational diabetes patients, such as consultation of diet, exercise, medication, psychological and etc. Our multidisciplinary team, made up of endocrinologists, general surgeons, imaging doctors, pathologists and oncologists, also excels at solving complicated health problems in thyroid/parathyroid diseases. We will conduct diagnostic check-up, medical history analysis, as well as create customized treatment plan and long-term systemic therapy and follow-up based on a discussion with patient of the treatment goal. > In Jiahui Vertigo Clinic, we provide a set of standardized and comprehensive assessments and relevant precise tests to precisely diagnose and differentially diagnose the following diseases: central vertigo, peripheral vertigo such as BPPV (Benign paroxysmal positional vertigo), vestibular neuritis, Meniere's disease etc., psychogenic vertigo and other kind of vertigo caused by systemic disorders. Based on the diagnosis, our specialists can develop an appropriate treatment plan for you. Our systematic approach can largely eliminate misdiagnosis that is usually made by doctors when analyzing diseases in one specialty, so that it provides patient with professional, precise, and personalized diagnosis and treatment. > Our respiratory physicians have rich experience in diagnosis and treatment of common and frquently-occurring respiratory diseases, as well as the difficult and severe respiratory diseases. They specialize in the diagnosis and treatment of asthma, occupational asthma, tracheitis, bronchitis, emphysema, COPD (chronic obstructive pulmonary disease), acute and chronic cough, infective respiratory diseases (pneumonia, tuberculosis) and Bronchiectasis. Our examinations and treatments include fiber bronchoscopy, lung function test and polysomnography respiratory monitoring and treatment. > Our specialists from the Department of Rheumatism are experienced in the management of rheumatic diseases and gout treatment. Our team provides a holistic treatment plan to relieve pain， prevent future gout attacks that could lead to permanent joint damage and tophi and prevent kidney damage. 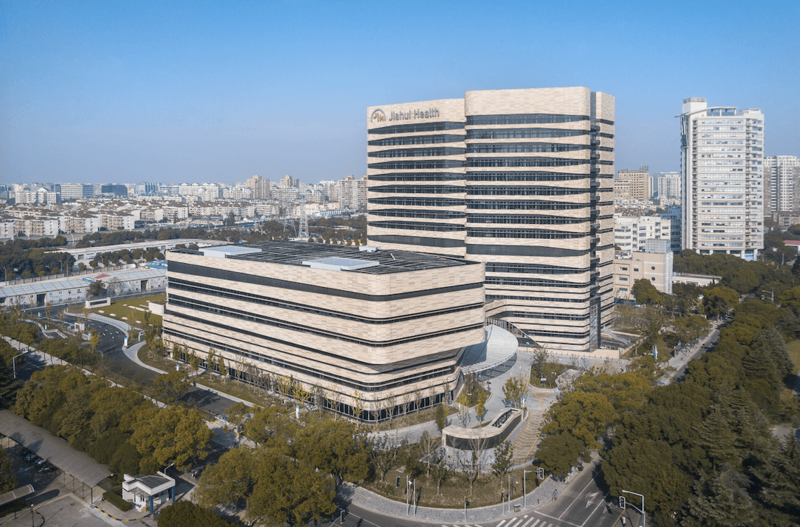 Jiahui International Cancer Center (JICC) affiliated to Jiahui Health is in a strategic partnership with the Harvard Medical School affiliated to Massachusetts General Hospital Cancer Center, and it is a one-stop, integrated cancer center in Shanghai adhering to international standards. An international team of oncologists led by the executive director Professor Jianxing CHEN, a distinguished consultant of the Massachusetts General Hospital, has landed in Shanghai and directly established the connection with the world-renowned cancer centers such as the Mass General. This will allow patients in China to experience international-standard cancer care, prevention and screening services without having to go overseas, bringing new hope to cancer patients and their families. JICC has officially opened its services in April 2018. The service sites include Outpatient Clinic, Operation Room and Infusion Center. 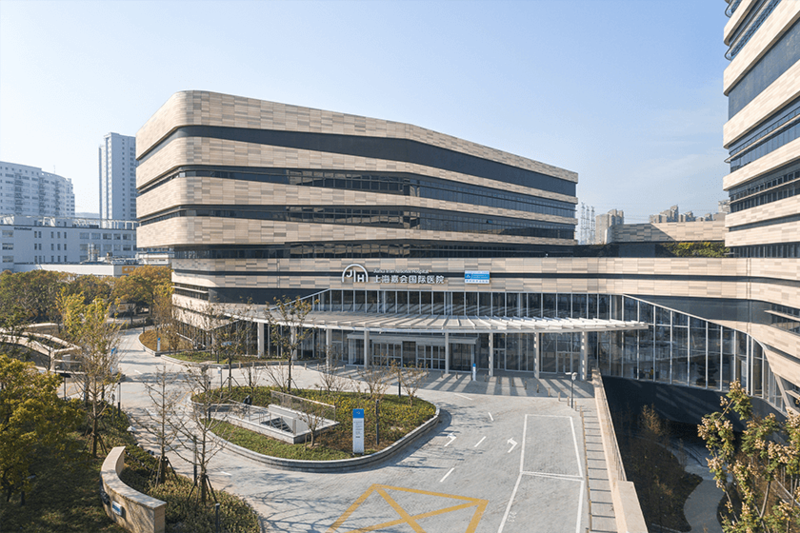 Jiahui will step-wise launch precise treatment programs including breast, GI, lung, thyroid, myeloma/lymphoma, multi-part targeted therapy and immunotherapy, etc. The Department of Medical Imaging in Shanghai Jiahui International Hospital is equipped with the most advanced medical imaging equipment, including Siemens digital X-ray machine (Ysio Max), Siemens digital fluoroscopic machine (Luminos dRF), Siemens dual source CT scanner (Definition Flash), Siemens 3.0T MRI scanner (SOMATOM Skyra), Siemens mobile digital X-ray machine (Mobilett Mira Max), Siemens mobile C-arm machine (Cios Alpha), Hologic Dual Energy X-ray Absorptiometry (WI-Discovery), Hologic mammogram machine (Selenia Dimension) and GE advanced ultrasound machine (include GE LOGIQ E9/LOGIQ S8/ VOLUSON E8/ABUS). The fully-equipped leading edge technology meets the daily requirements from various medical services, including Family Medicine, Internal Medicine, Surgery, Pediatrics, Sports Medicine, and Emergency. Expert team of Medical Imaging has received long-term and strict training. With rich clinical experience, they can make timely and accurate diagnosis for various diseases and evaluation for health risks, meanwhile protecting patients from excess radiation hazard. Manufacturer and Type: Ysio Max produced by SIEMENS, is the most advanced type of SIEMENS DR product currently. Manufacturer and Type: Selenia Dimension High-end digital flat-panel mammographic X-ray machine is produced by HOLOGIC. Manufacturer and Type: GE LOGIQ E9 and LOGIQ S8 whole body ultrasound system, GE VOLUSON E8 four-dimensional ultrasound system, GE three-dimensional automatic volumetric ultrasound system (ABUS). Good nutrition is important in recovering from surgery or illness. The Department of Nutrition provides nutrition care, advice and education to patients and their families while patients are hospitalized and upon discharge. Our clinical dietitians work with the patient’s multidisciplinary team to provide appropriate nutrition care and also educate patients on diet modifications prescribed by patient’s physicians. Based on WHO’s HCWH (Healthcare without Harm) guidelines, our dietitians work closely with the food production team to design and create tasty, healthy and eco-friendly recipes/menus to ensure best nutritional support for all patients. Our clinical dietitians aim to raise nutrition awareness among general public in managing specific dietary needs in different age groups and conditions, including diabetes, oncology, pediatrics, weight management, pre- and post-natal. Our eye clinics bring together experienced ophthalmologists, optometrists and state-of-the-art eye equipment to offer patient-centered and proficient eye care with international standard. Whether you need a highly specialized management of a general ophthalmologic problem including dry eye syndrome, glaucoma, diabetic eye disease or macular degeneration; or simply an annual eye exam and your first pair of glasses, our ophthalmology team will assure you receive the very best care available. We have the most advanced Optos Daytona fundus imaging system for retina disease screening，diagnosis and evaluation. The Zeiss CIRRUS OCT system, providing reliable high-definition images，is used for early detection of glaucoma and macular degenerations. The ophthalmology department works closely with other specialties in Jiahui Health and international clinics/hospitals. We provide early detection and management of diabetic eye diseases; assessment for persons with thyroid disease to prevent complications; and ophthalmic screen for children's eye health and development. > General ophthalmology: comprehensive eye examination, customized for all population, from school children to corporate executives, including refractive state determination, retina examination, eye diseases screening. > Children eye health management: children routine eye examination, visual function tests, and myopia prevention/control management. > Juvenile strabismus and amblyopia: examination and differential diagnosis, personalized treatment programs. > Optometry service: eye glasses and contact lens prescription/dispensing, Ortho-K lens and rigid gas permeable contact lens fitting/prescription. > Ocular surface diseases: common external eye diseases such as conjunctivitis, corneal diseases, dry eye syndrome, meibomian gland dysfunction, spasm of the eyelids, eyelid tumor, etc. > Vitreous and retinal diseases: floaters, high myopia, macular degeneration, diagnosis and treatment of retinopathy caused by hypertension, diabetes. > Glaucoma and ocular hypertension: screening of ocular hypertension and glaucoma suspect, diagnosis, evaluation and treatment of glaucoma. > Lower limb: osteoarthritis, cruciate ligamen injury, meniscus injury, plantar fasciitis, ankle sprain, Achilles tendinitis, hallux valgus. Pain is one way the body tells us something's wrong and needs attention. We all suffer from common aches and pains, and many people doesn’t pay attention to the pain and try to endure it. However, suffering from pain does not have to be a way of life. When the pain impact our daily routines such as sleeping, eating, working, and socializing with others, causing further stress, depression or anxiety that affect quality of life, we should go for doctor’s help. Jiahui’s multidisciplinary team combines the skills of pain specialist, TCM doctor, ultrasound specialist, physical therapist, and psychologist, by conducting diagnostic exams and review your medical history and treatment objectives, we will work with you to create your customized treatment plan to take care of you from suffering from acute and chronic pain problems. Services include diagnostic evaluation and treatment. Available treatments including medical management, physical therapy, acupuncture, injections and nerve blocks, radiofrequency ablation, and if necessary, psychological interventions. Our pain specialists are specialized in ultrasound-guided interventions, providing radiation-free, safer, accurate solutions with less complications comparing to traditional interventions. Common diagnoses that our patients have received include: trigeminal neuralgia, pain from shingles, migraine, sciatica, chronic low back pain, neck pain, frozen shoulder, knee arthritis, tenosynovitis，muscle & joint pain caused by sports injury. Asthma is a common disease of the airways among children, which may occur at any age. An acute exacerbation of asthma results in coughing, wheezing, chest tightness, and difficulty breathing, requiring medicine for quick relief. Some children may need to use long-term medicines to control and stabilize their condition, even if an asthma attack does not occur. Many parents believe that these medicines have side-effects, and choose to see a doctor only when their child has an attack or stop treatment when the symptoms disappear. These decisions result in repeated asthma attacks which may eventually affect their child’s lung function. It is thus important once a child is diagnosed with asthma, the family follows the doctor’s advice closely to monitor and control your child’s asthma to prevent asthma attacks. > Minimally invasive surgeries: laparoscopic surgeries for appendicitis, inguinal hernia, intestinal duplication, congenital choledochal cyst and other diseases. > Prenatal consultation and second diagnostic opinion. The Department of Pediatrics of Jiahui Health is dedicated to improving the quality of medical service and customer experience. The rich experience of our pediatricians and the clean, comfortable and friendly environments enable children and their parents to feel cared and relaxed in clinical setting. The Pediatric Department at Jiahui Health can provide excellent and comprehensive medical care to infants, children and adolescents. Aside from wellness visits, we can also provide care for problems related to neonatology, respiratory medicine, endocrinology, allergy, surgery, ophthalmology, ENT, dentistry, dermatology, anesthesiology, nutrition. With strong collaboration with 3A children hospital in Shanghai, Jiahui also provide services of cardiology, cardiac ultrasoundand urology. Jiahui pediatric team focus on various childhood and adolescent health issues, and protect your children’s health from birth to every stage of their growth and development. Our clinical psychologists provide psychological consultation and therapy for individuals, couples/partners, and families and can help you with such issues as anxiety, stress, mood disorder, adjustment disorders, and other common psychological problems. We also help children cope with conditions including anxiety, difficulties in school readiness and learning, behavior disturbances, attention deficit/hyperactivity disorder, eating disorders, and mood disturbances. In addition to therapeutic treatments, our psycho-educational and psycho-diagnostic assessments dive deeper to help you or your family identify the root cause of psychological problems and regain mental health. When crisis happens our well-trained clinical psychologists are always prepared to provide immediate mental health assistance and psychological management services. > Children’s mental problems such as anxiety, difficulties in school readiness and learning, behavior disturbances, attention deficit/hyperactivity disorder, eating disorders, and mood disturbances, etc. If you have sustained an animal bite, scratch, or other animal contact that raises concern about exposure to rabies, or if you have any contact with a bat, please visit Jiahui's Rabies Prevention Clinic as soon as possible. The Department of Rehabilitation of Jiahui Heath offers high-quality rehabilitation services to eliminate or reduce the effects of physical and/or psychological dysfunctions, and helps to restore and rebuild these functions. The Jiahui rehabilitation specialists and physical therapists assist you to achieve your rehabilitation goal through applying the advanced equipment, comprehensive programs, rich clinical experience and efficient teamwork. Our rehabilitation services include musculoskeletal diseases rehabilitation, post-surgery rehabilitation, clinical Pilate rehabilitation, and rehabilitation of teenager scoliosis. > Orthopedics and sports injury: rehabilitation after rotator cuff surgery, rehabilitation after cruciate ligaments surgery, rehabilitation after meniscus surgery and rehabilitation after all kinds of bone fracture surgery. Taking patients' benefit as the primary concern, Jiahui Spine Clinic aims to provide high-quality and comprehensive medical care to patient with spinal diseases. Our spine surgeons have rich clinical experience, and can provide international-standard services from examination, diagnosis, to treatment in a systematic and multi-discipline way through closely collaborating with rehab, pain management, medical imaging departments. We’ll choose the most suitable treatment method according patient's individual situation and need. The Department of Surgery of Jiahui Health aims to provide patients with high-quality and comprehensive surgical services. Our surgical team includes a number of highly skilled and well-known surgeons and professors of surgery from both China and abroad. Their expertise covers a wide range of sub-specialties of surgery. They accurately diagnose and deal with various common and frequently-occurring surgical diseases, and can provide comprehensive and optimized clinical solutions based on patient’s overall health condition and individual characteristics. Currently, Jiahui surgical services include General Surgery, Orthopedics and Spine Surgery, Pediatric Surgery, Otorhinolaryngology Surgery, Breast Surgery, Non-gastrointestinal Cancer and Gastrointestinal Cancer Surgery, Thyroid Surgery and Plastic Surgery, etc. Each sub-specialty is equipped with highly qualified and experienced surgeons and advanced equipment, which enables the team to perform procedures via minimally invasive approach to achieve the outcome of safety and quick recovery. For multi-disciplinary care, all the other departments in Jiahui Health work closely with our surgical team to provide comprehensive and one-stop clinical services for gastrointestinal, thyroid, bone and joint, spine, breast, cancer and other diseases. 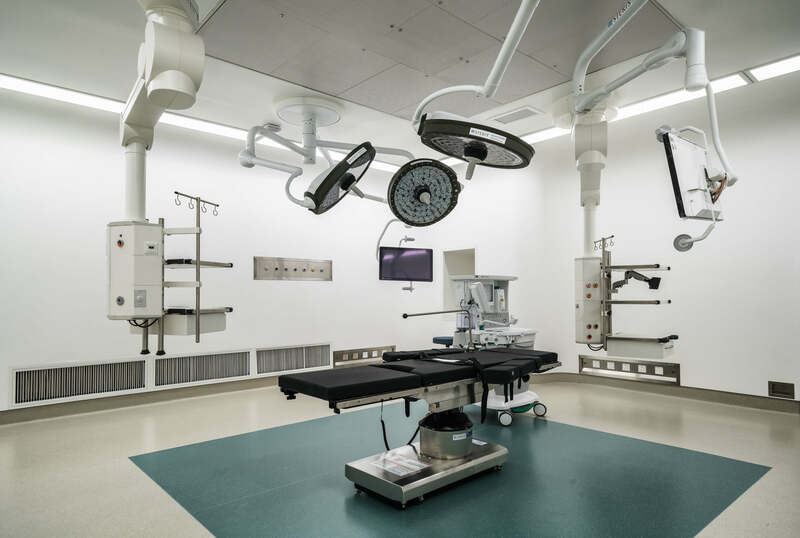 Adhering to high quality standards, our operation rooms are installed with the most advanced medical equipment and digitally integrated function to ensure that surgery is performed safely. Our independent perioperative recovery units ensure complete privacy, and highly qualified nursing staff provide peri-operative care according to patients’ needs in a safe and comfortable environment. Jiahui Health’s multi-disciplinary team brings together highly-experienced endocrinologists, general surgeons, medical imaging physicians, pathologists, and oncologists, through diagnostic tests, medical history analysis, and discussing treatment goal together with you, we create personalized treatment plans with long-term systematic follow-up visits. > The third category includes some health problems such as facial paralysis, obesity, insomnia, tinnitus deafness and sub-optimal health condition. Jiahui Vertigo Clinic service is provided by veteran neurologist Dr. Jeffrey Li. Through a set of standardized and comprehensive assessments and relevant precise tests, Dr. Li can clearly diagnose and differential diagnose following causes: central vertigo, peripheral vertigo such as BPPV (Benign paroxysmal positional vertigo), vestibular neuritis, Meniere's disease etc., psychogenic vertigo and other systemic disorders caused vertigo, and develop an appropriate treatment plan for you. Our systematic approach can largely eliminate misdiagnosis that usually occurs when seeing each specialty separately, and provide patient with professional, precise, and personalized diagnosis and treatment. Vertigo is one of the most common clinical symptoms, most people have experienced or will experience dizziness or vertigo in their lifetime. Vertigo is an illusion of motion, patient may have a feeling of spinning/swaying of the environment or self-spinning. Although vertigo is common, the causes of vertigo are very complex and diverse, involving many specialties including otolaryngology, neurology, orthopedics, cardiology, and psychology. As a result, vertigo patients usually end up seeing multiple specialties and taking various tests without getting any conclusion of the root cause of their problems. The Women's Health Center practices at Jiahui Health are designed to meet the needs of women throughout all stages with a full range of international standard gynecological services from medical consultation with routine screening and examination to procedure treatments. Our doctors are always reliable to provide professional guidance in medical care during your lifelong journey from childbearing age to menopause and beyond.